Chastain Arts Center supply lists are sorted by your class instructor. Click on the links below to download a supply list. In 1990, Mayor Maynard Jackson had a vision for the arts in Atlanta. He initiated an arts summit that brought together over 500 leaders in Atlanta’s art community. This summit created the “Atlanta Blueprint for the Arts” that became the guiding force for the arts in this city and has been largely implemented in conjunction with established and emerging arts organizations. This Blueprint was a catalyst for change as Atlanta strived to be recognized as a premier city for the arts. More than a decade later, Atlanta has emerged as a regional cultural center. Through the strategic use of resources and creative ingenuity the Office of Cultural Affairs continues to provide programs that enrich the citizens of Atlanta and the region. Our vision is to create an enhanced quality of life in Atlanta through cultural experiences. Our mission is to enhance the quality of life through cultural experiences that can serve as an international model. In the next few years, under the leadership of Mayor Keisha Lance-Bottoms, we will seek to position Atlanta as an international leader in the arts community. I hope that this website provides you with a comprehensive understanding of the Office of Cultural Affairs and its role in the delivery of arts and culture to the city of Atlanta. Our intent is to provide an information source as well as an interactive tool for communication with the community at large. An investment in the arts nurtures commerce, education and technology. 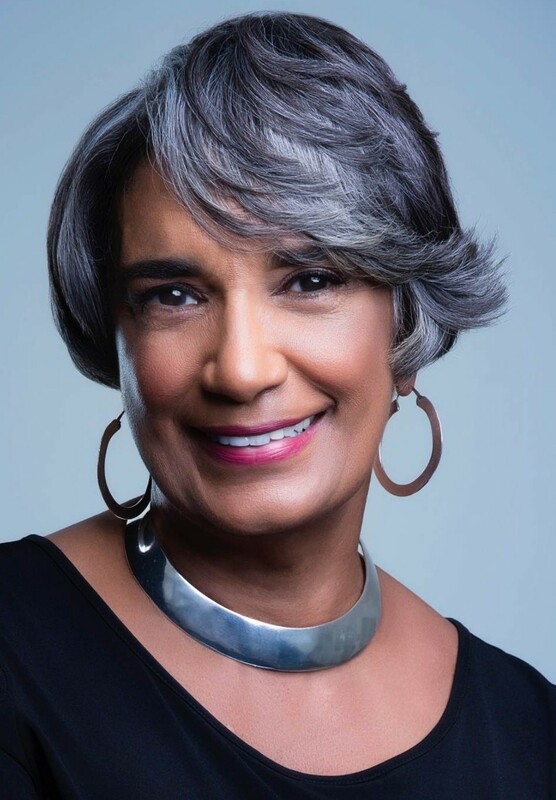 The Office of Cultural Affairs is uniquely positioned to sustain and to expand Atlanta’s presence in the world arts community. The City of Atlanta’s Office of Cultural Affairs (OCA) was established in 1974 to encourage and support Atlanta’s cultural resources. The initial mission was to solidify the role that arts and other cultural resources play in defining and enhancing the social fabric and quality of life of Atlanta citizens and visitors. Today the OCA understands that the arts play an essential role in defining the cultural vitality of the city and is working to enhance Atlanta’s reputation as a cultural destination. The OCA aims to provide programs that contribute substantially to the city’s economy and quality of life. The Cultural Experience Project (CEP), which aligns the City of Atlanta with the philanthropic arm of business organizations throughout the area, provides opportunities for over 30,000 Atlanta Public School (APS) students, Pre-K through 12th Grade, to experience the broad range of Atlanta’s premiere cultural venues and artistic programs at no cost to the student. Contracts for Arts Services (CAS) and power2give/Atlanta annually contribute funding to arts organizations and individual artists for art projects and experiences in Atlanta. This allows us to support artistic efforts throughout the city and provide an opportunity for arts organizations to raise additional funds within the community through our online fundraising tool, power2give/Atlanta. The Atlanta Jazz Festival (AJF) welcomes thousands of residents and visitors to Piedmont Park for our annual free, multi-day jazz festival each Memorial Day Weekend. The Atlanta Jazz Festival, Incorporated , a 501(c)(3), supports AJF programming through donations and the support of its members, the 35 for 35 Society, a philanthropic group comprised of individuals dedicated to the preservation of jazz. The Public Art Program (PAP) focuses on the conservation and maintenance of Atlanta’s Public Art Collection and also produces ELEVATE, an annual free Public Art festival featuring local, national and international artists throughout the city. ELEVATE has been named one of the Top 50 Public Art Projects in the Country by Americans for the Arts and has also been nominated for the Livable Cities Award. The PAP also manages City of Atlanta Public Art Audio Tours which focus on educating the residents and guests about Atlanta’s Public Art Collection located in the central downtown Atlanta area. Chastain Arts Center (CAC) serves over 500 students, employs about 30 instructors and continues to maintain a steady stream of revenue from class enrollment, Art a la Carte summer camp, and the Shop at Chastain. The City Gallery at Chastain hosts exhibitions throughout the fiscal year, adding to Atlanta’s unique cultural landscape. The Office of Cultural Affairs also interfaces with the international community by providing opportunities for cultural exchange. These exchanges are evident in our programming for the Atlanta Jazz Festival, ELEVATE, and workshops in our facilities by artists, primarily from Atlanta’s Sister Cities. In addition, the OCA routinely works with the Airport Art Program and the Atlanta Beltline on their initiatives, including representation on artist selection panels, and oversight of their installations. To create and promote rich and diverse cultural experiences in the city of Atlanta that enhance quality of life and expand the city’s international reputation while preserving and protecting Atlanta’s cultural heritage. Preserving and Promoting the Arts – through artistic festivals, public art and cultural programming. 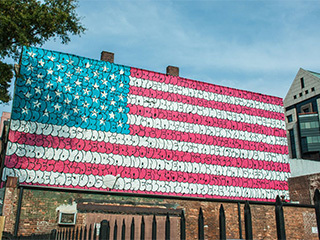 Creating Access to Cultural Opportunities – through gallery exhibitions, performances and art centers. Supporting the Professional Arts Community – through the provision of grant funding and other resources for artists and not for profit organizations. Exhibit superb service while presenting diverse and thought provoking programs and experiences. Gain international recognition of programs. 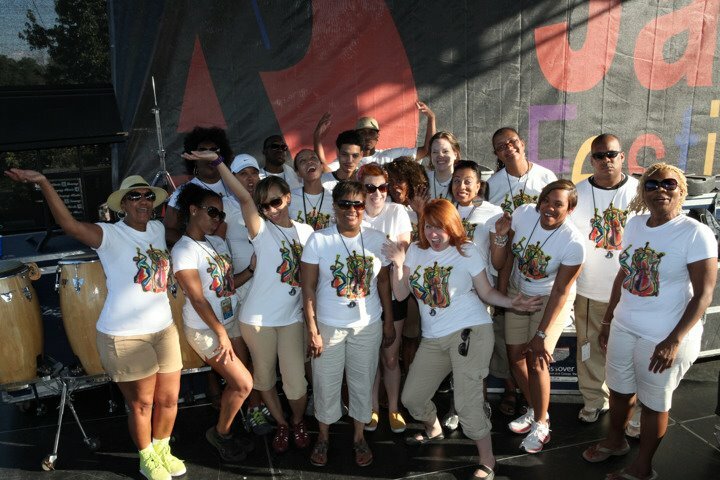 Unify the city’s cultural community through programs that serve the people of Atlanta. Support and create opportunities for local Cultural Development. Create cultural experiences that can serve as international model and enhance overall quality of life. Provide artistic and cultural needs to all citizens & visitors. Promote a rich and diverse cultural experience in the City of Atlanta. Nurture artists and arts organizations. Educate and inform citizens and visitors of the City’s cultural offerings. Strengthen our impact through partnerships with other organizations. Build bridges into new communities and develop new audiences. Preserve and protect the existing cultural heritage of the City of Atlanta. OCA Internship Programs provide a substantive learning experience that serves as a basis for interns to explore career options and attain professional skills in a variety of arts leadership fields such as arts education, community outreach, development, arts management, urban planning, art preservation and many other disciplines. OCA is always looking for students with a strong academic record, who have an interest in learning how the arts support and contribute to the development of the greater community. The goal of OCA Internship Programs is to develop a passionate and skilled force of leaders, committed to advancing arts and culture as a critical component of vibrant communities. If you are interested in learning more about our internship opportunities, please complete this form and email to the Office of Cultural Affairs. From International Boulevard, get into far left lane. Turn Left into the 161 Peachtree Center Avenue Garage just before Peachtree Center Avenue. From International Boulevard, get into the far Left lane. Cross Over Peachtree Center Avenue. Turn Left into the International Parking Garage after Hsu’s Gourmet Chinese. For a complete listing of contact information, visit our Contact page. I am delighted to share a copy of the City of Atlanta Mayor’s Office of Cultural Affairs (OCA) fiscal year 2018 Annual Report with you. The OCA is committed to enhancing the quality of life in Atlanta by promoting rich and diverse cultural experiences that preserve and protect Atlanta’s cultural heritage while enhancing its international reputation as a cultural destination. 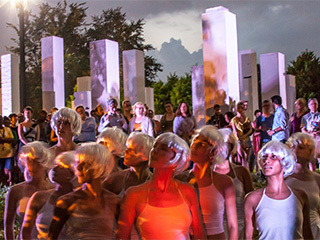 We accomplish this goal by not only supporting and increasing the capacity of Atlanta’s nonprofit arts sector, as well as individual artists, but also providing a direct service to the community at large by programming world-class events and spaces that are free and open to the public. 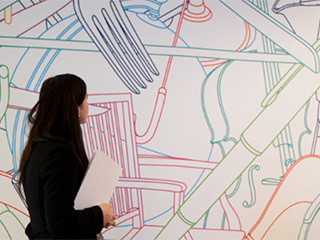 As a supporter of arts education and audience development, we offer class and cultural opportunities and through our Chastian Arts Center and Gallery the Cultural Experience Project (our partnership program with Atlanta Public Schools), we send APS students from each grade level to one of Atlanta’s premiere cultural venues free of charge, furthering the students’ curriculum and exposure to creative industry. The entire OCA team would like to thank Mayor Keisha Lance Bottoms for her support of and confidence in the work that we do. We would also like to thank the members of Mayor Bottoms’s administration and the Atlanta City Council. OCA is proud to diligently continue our work of more than 40 years – to solidify the role that the arts and other cultural resources play not only in defining and enhancing the social fabric and quality of life for Atlanta’s citizens and visitors, but also in strengthening our local economy. As the OCA forges its path towards the future, we reflect on the fruitful partnerships that allow us to do this meaningful work and we look forward to continued progress and success.